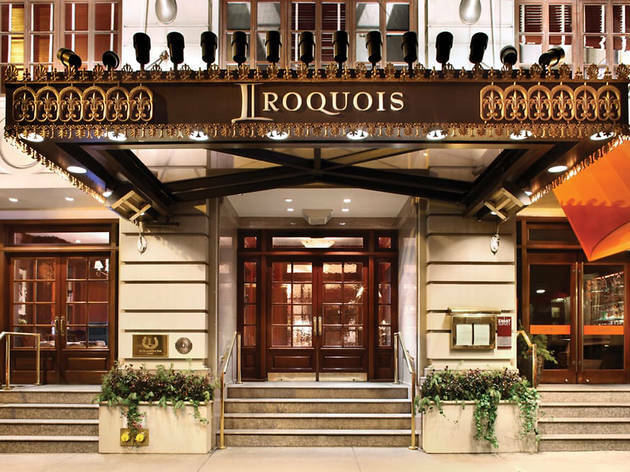 Right in between some of the most bustling avenues in the city, the Iroquois hotel is a stylish, boutique hotel that prides itself on luxury amenities. 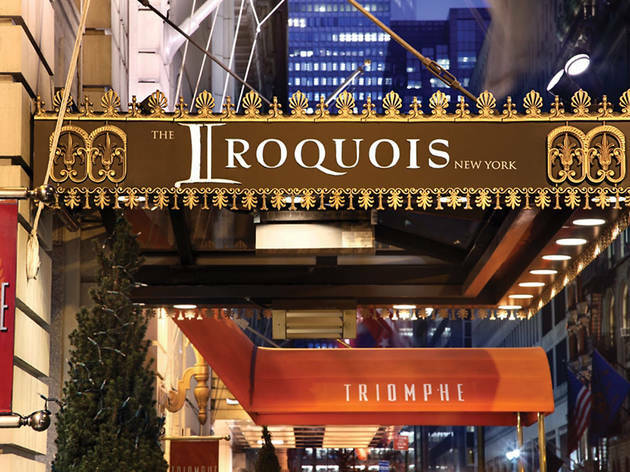 If you are looking for a unique experience that’s in the center of everything, yet soundproof enough to feel a world away, than the Iroquois is the place for you. 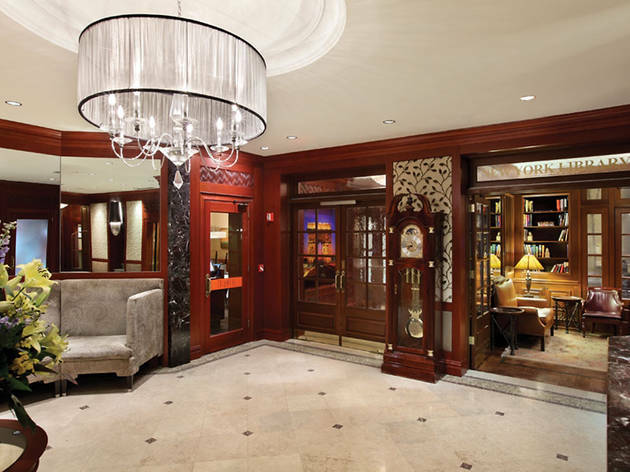 This luxury hotel has a quaint lobby that actually encourages lingering. As you enter find a cozy library where you can catch up on that bestseller you've been meaning to finish, all the while while sipping on a hot cider from the lobby bar. 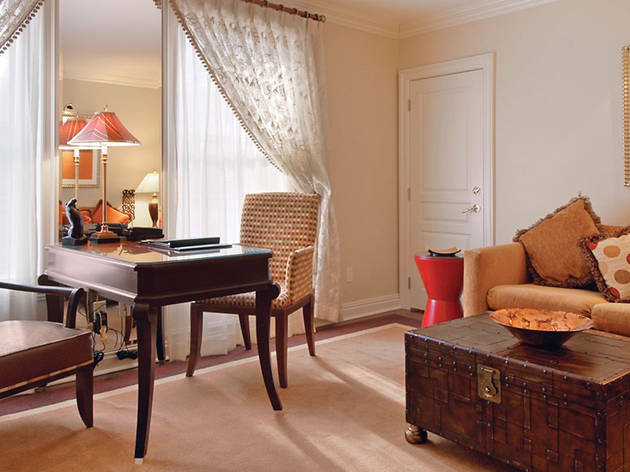 When you take your elevator up to your room, be prepared for solid New York-style space and tons of storage. 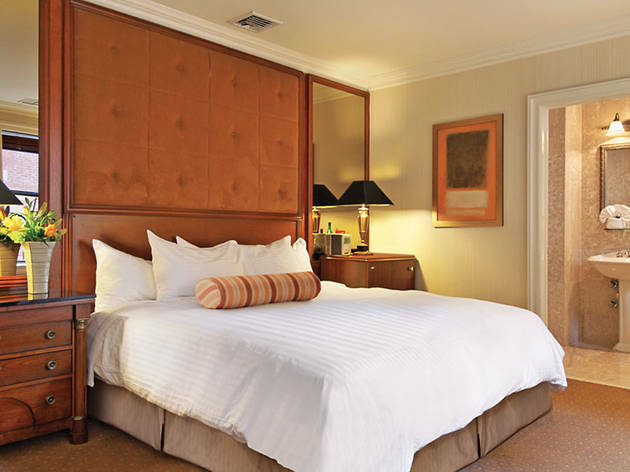 The bed is large, and with a nightly turndown service it makes the room a little bit more homey. 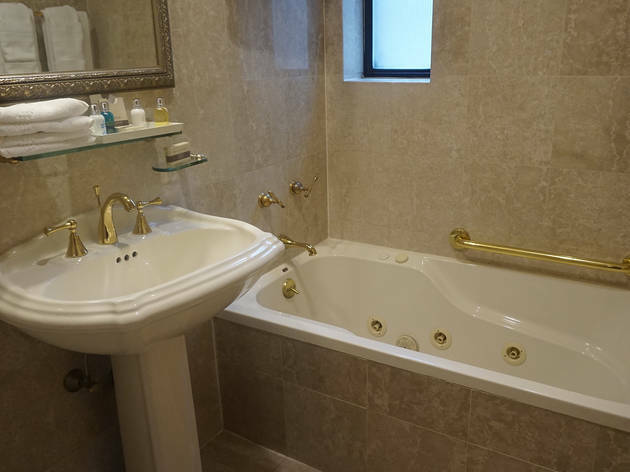 Keep in mind that these are not the most extravagant rooms, but it most certainly gets the job done and will leave you well rested in the morning. 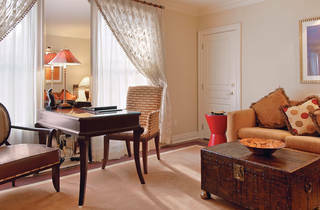 Besides, the huss and fuss of an extravagant room get in the way of all the excitement that Manhattan has to offer. 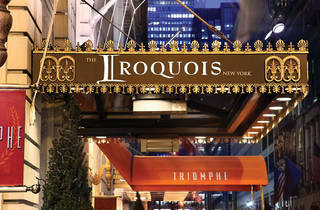 But the crowning jewels of the Iroquois are most definitely the onsite restaurant and hotel cocktail bar: the Triomphe and Lantern’s Keep. Triomphe has been consistently named one of the best French restaurants in the city, with an extensive wine collection that has been expertly paired with every item on the menu (dessert included). Entrees have been carefully curated on this superb menu using all local ingredients for his works of art. And when I say art, I mean art; each dish has been plated to the last detail and looks as good as it tastes. Start off with the lobster bisque (with an oversized popover on the bowl), then move on to the Coq Au Vin, which is marinated in the Pinot Noir and comes with braised veggies on the side. Pairing all of this with the house Chardonnay is an absolute must. 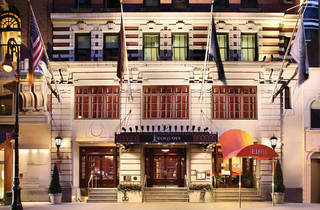 Onto the next jewel, or, rather one of Manhattan’s best kept secrets: the Lantern’s Keep. A small cocktail bar in the back of the hotel’s lobby is packed right after 5pm, but will die down once the theaters open their doors for showtime. Managed by Natasha Torres, who studied the art of cocktail making at Manhattan’s famed bars, Milk & Honey and Grand Banks, the staff of Lantern's Keep gets to know what you actually want from your cocktail. 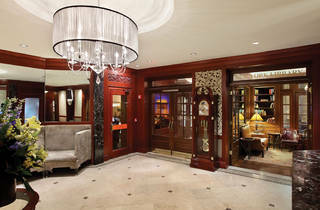 While serving all of the the classic cocktails, a large part of Lantern’s Keep menu has staff recommendations, the Bartender’s Choice, with top shelf liquor ranging from the finest scotch to exoctic tequilas to flavorful absinthe. 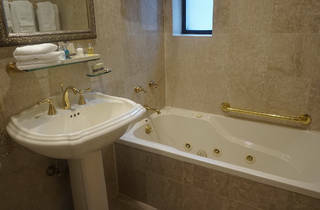 Plus, with the most friendly staff in NYC, you will for sure become a regular. 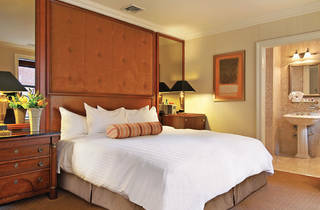 What makes a hotel stand out and has you come back more? The atmosphere. 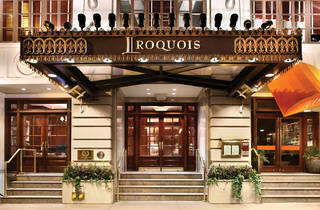 The Iroquois definitely sets the bar on friendly staff, great amenities, an awesome restaurant and an exquisite cocktail lounge. 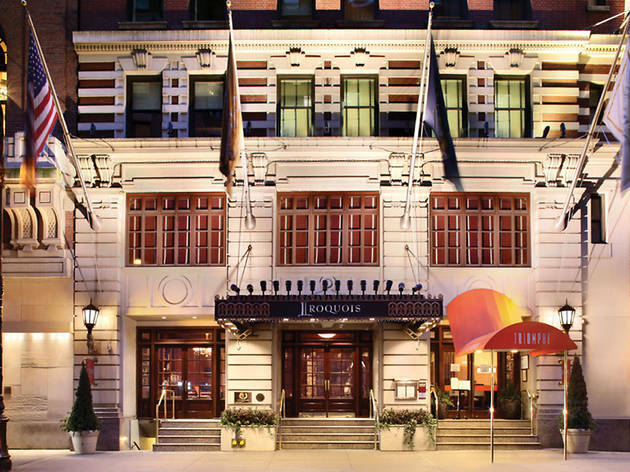 It’s a hotel where visitors and native New Yorkers like to make it home for the night. TIME OUT TIP: Want to take a walk around the city after your dinner? Take a nice stroll through Midtown West to check out the small wine bar, Wine Escape. This intimate brick-walled wine bar is the perfect atmosphere if you're looking to get cozy with that special someone, or for a night out with the gals and multiple charcuterie boards. Either way it’s a win.